Most of the DACA recipients are not “kids.” The average age of the DACA “kids” is approximately 20 years old, many are between 23 and 26 years old. Applications were accepted from anyone under the age of 31, as of June 15, 2012. Accordingly, most of the people who benefited from the DACA program were adults. DACA applicants were not subjected to the same background checks as other immigration benefits applicants. In order to process DACA requests more quickly, the Obama administration only performed “Lean and Lite” background checks on applicants. This means the DACA “kids” were subjected only to an abbreviated version of an already weak vetting system. At least six known security risks were inadvertently granted DACA as a result of weak vetting procedures. Over 2,000 DACA recipients have been accused, or convicted, of crimes against Americans. Not all of the DACA “kids” were valedictorians, veterans, or entrepreneurs. The Department of Homeland Security canceled the DACA status of 2,139 recipients because they were convicted of a crime after having been granted deferred action. United States Citizenship and Immigration Services (USCIS) approved between 88 and 90 percent of all DACA applications it received. By December of 2015, USCIS had received approximately 770,000 DACA applications. It approved roughly 715,000 and rejected around 55,000. The majority of the rejected applications contained obviously fraudulent information. USCIS did not refer denied applicants to U.S. Immigration and Customs Enforcement for deportation. The high approval rate was likely due to the fact that USCIS only interviewed about .03% of DACA applicants. 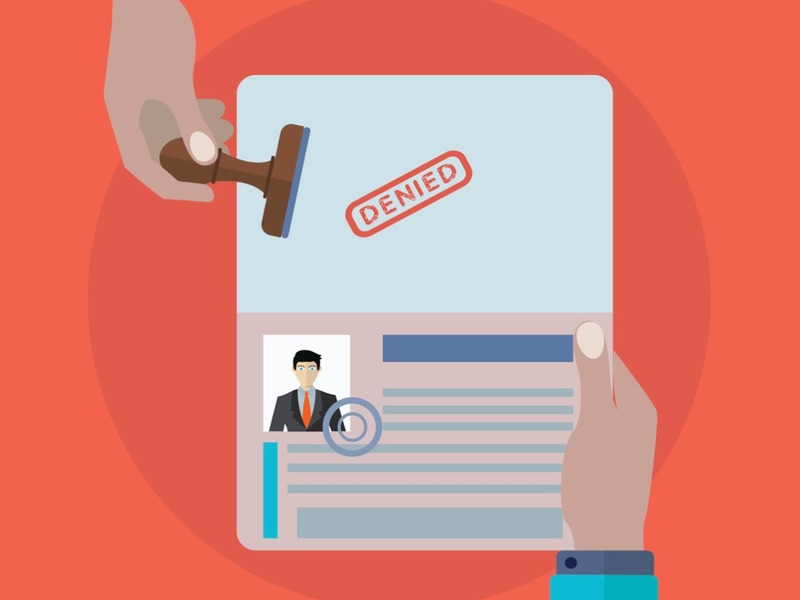 USCIS detects a significant number of security risks and a large amount of fraud during in-person interviews. Clearly the DACA narrative being pushed by the mainstream media does not match the realities of the program. Candidate Trump won the presidency, largely because Americans believed his promises that he would eliminate President Obama’s illegal amnesty program and secure our borders. President Trump kept his promise. However, his desire to legalize the DACA “kids,” coupled with Congress’ apparent willingness to sell-out the American public in order to benefit illegal aliens, has sent a clear message to immigration violators: “Feel free to break our laws, we’ll just reward you.” If all of our political leaders are busy worrying about “doing the right thing” for the illegal aliens who got DACA, who’s looking out for the safety and security of the American public? Our deep thanks for pointing out how DACA failed. concerning the children of foreign nationals. who do not fit the age-profile in any new law. Were they really children when they entered the USA? What are their real ages now? Full identification of the applicant must be clear. Does this person have any convictions in the original homeland? Has this person committed any crimes while in the USA? (Simply being in America without permission would not count. giving false information to investigators, etc. might be considered serious enough to exclude the applicant. and his or her whole family back to the original homeland. that came to light in earlier programs. from happening all over again under the new law. —and perhaps later to apply to become U.S. citizens. Each and every one of these DACA recipients are of age enough to have applied for entry in this country long long ago. Why have they put if off or more exact, why are they being enabled to remain here when so many of our own children and veterans are still homeless and going to bed many nights hungry? That’s an illogical argument. Being allowed to remain in the USA does not equate to homelessness and going to bed hungry. If they are allowed to stay they still have to seek and maintain work. Many immigrants accept jobs and work conditions that most Americans would not. If you are talking about underage children, we need to look at where the responsibility lies. Why do you call them “immigrants”? Add the real term, which is “illegal immigrants”. The majority of DACA are not “kids”. They are not working the jobs you suggest. They are taking the jobs that Americans would like and they’re taking education scholarships which American kids would like but can’t get. They get these scholarships from liberal schools who also collect $ from the gov’t because they are rewarded for accepting illegals in this liberal age. In one way or another “dreamers” are also collecting from other gov’t programs and have been collecting free education, breakfast, lunch etc for their entire lives.And, they are sending $ back to their countries….these people have been given handbooks on how to grab from the USA. This is a classic argument by the left, but which also proves the hypocrisy. By saying this, you value illegal immigrants life less, by saying its good – Illegals will do the crappy jobs! Clean our toikets, work long hours in the back of the kitchen, picking fruits for little money. Is it not better that they come in legally and are able to work them selves up to get a good job. A job that they deserve? Is it not better that the there is a demand for these jobs, which will drive the wages up, which will give regular people, doing low skilled jobs, but at a fair salary? Why does the left applaud that immigrants take bad jobs? Plus, its a vicious circle. Illegal immigrants – mostly hispanics because they are the border country – They will naturally end up on the bottom (because thats what you do when you break laws) then the Huff Po will do an article about statistics – which racial group earns the least – hispanics are at the bottom. It must be because of racism! Im so tired of this narrative. Well you are an immigrant …. what is your job? This was the illegal parents plan, get the illegal kids here, get educated and support the non English speaking extended family. Take up Housing otherwise meant for citizens to rent or own. Taking away jobs from educated citizens. I’ll repeat this call as long as it takes: we are missing a colossal opportunity to use DACA as a bargaining chip and turn that terrible program into a MAJOR victory for the long-term health of America. Yes, DACA currently shields 800,000 illegal aliens. But, that figure is ultimately a splash in the lake compared to the TENS OF MILLIONS of low-skilled, low-educated people who will flood into our nation over the next several decades if we fail to enact prudent immigration reforms. Democrats and Corporate Republicans will defend DACA to the death- so, let’s give these criminal coddling fools a victory. An ultimately COSTLY, pyrrhic victory that will ultimately destroy the Left. * Place a moratorium on refugee resettlement and drastically reform this failing,taxpayer abusive system. Let’s do it folks, let’s win some massive victories for our children and future generations. Refugee resettlement is nothing but a money making business. All these groups that get paid by government and private sources then bring them into this country, give them a few months assistance and then the taxpayers pick up a lifetime of welfare for many of them. Trump gets bashed for not taking them in but he has said he is willing to set up refugee camps overseas, where they should be, so they can eventually return home, I saw McCain calling Trump “impulsive” the other day. Unbelievable. He sought the GOP nomination for a decade and when he got it he threw away the election by his rash and sudden choice of Palin. Like her or not, too many people rejected him because they didn’t think she was presidential material. Ok do great the system works….they only accepted the good ones!!! Way to go! Right decision by President Trump….about time Congress acts…..